The Skellig cliffs are quite a sight. They have an imposing presence. Dark and foreboding in shadow. Standing at the best view point close to the Skellig coast, I took the opportunity to capture one of my favourite Skellig Michael landscape photos. The photo was captured with my Phase One IQ3 100 Digital Back. 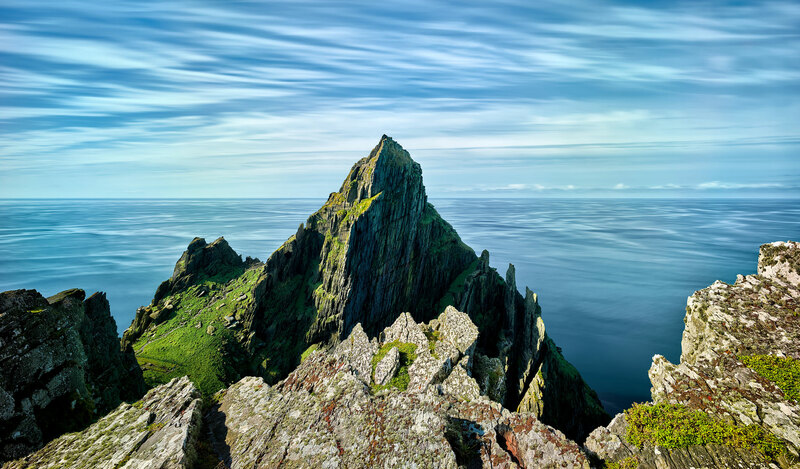 When I zoom in I can clearly see the structures to the left of the peak, built several centuries ago by the Monks of Skellig. I didn’t even notice them while there. The amount of detail in my latest Phase One prints are like something I have never seen before.